My seventeen-year old daughter Beth is a football (soccer) player. Having three older brothers probably prompted Beth’s interest in football, but by the time she was ten we were being told by her coaches that she had a natural talent for the game. When the time came to leave primary school she was presented with a cup by the head-teacher, who observed that every break when he looked out of the window he would always see Beth playing football with the boys. He also commented that she was a better player than any of the boys! Beth eventually joined a girl’s team. 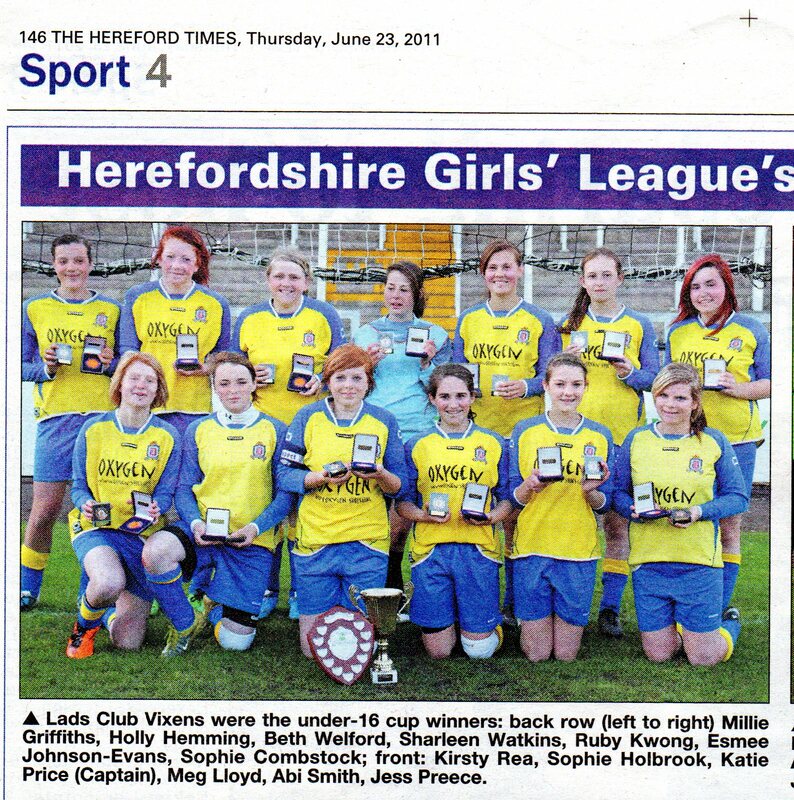 They became the most successful female football team of their age group in our county. The highlight for me was watching them play in three cup finals in a row at the ground of Hereford United Football Club. I can honestly say that this was some of the best football I have ever seen. The things I respect most, apart from the skill of the players, include their incredible commitment both to training and playing, and their determination to win. Girls don’t dive and claim they have been fouled like the boys. They play hard and even when injured resist advice from the coach to come off the pitch. The only problem is that as they get older some lose interest distracted by the likes of boyfriends, and worldly pleasures away from the football pitch. 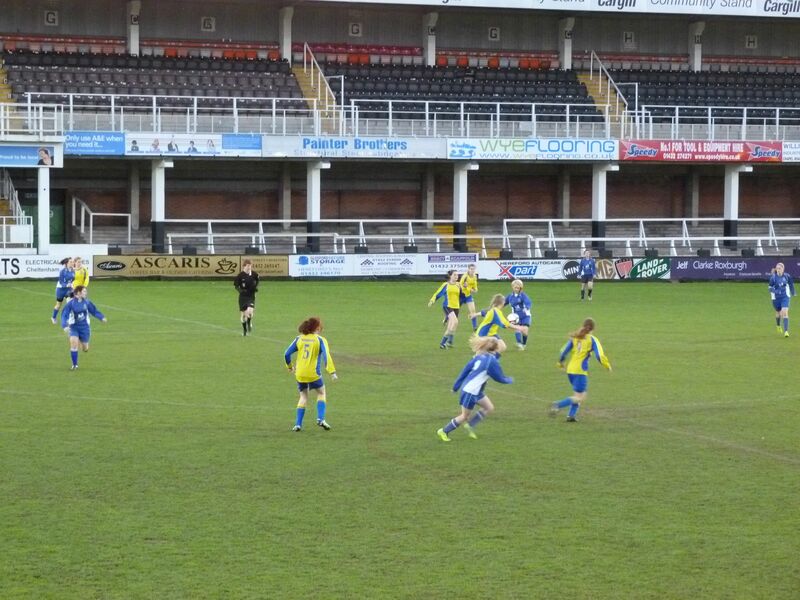 Watching my daughter play a county game the other week made me think about the cost to the girls of being there. The years of regular training, occasional injuries, the travelling to matches, and the disappointment at games lost. This has to be balanced against the elation of games won, and of receiving medals as champions. There are definite parallels with the Christian life. There is always a cost to following Jesus Christ, which is far greater in some countries than it is in North America or most of Europe. Regardless of the cost commitment is vital. There may be disappointments and setbacks during the journey but there is a prize waiting for those who persevere to the end. When I was born I joined a special club. It is not a club I had any choice in joining, but it has an exclusive membership conferred on those who join through the occupation of one, or even both, of their parents. You see my father was a preacher. Actually my father still is a preacher. He still has Rev. in front of his name, and at eighty-two years of age he is still preaching in a small Methodist circuit in South Devon in the United Kingdom. At the time of my birth Dad was in his very first church, and I was the first of four preacher’s kids (PKs) born to my parents. The first time I was aware of being a PK was when I started school. One of the older girls who attended church decided to take me under her wing. As time went on various comments by friends made me aware that there was something different about me. Something I didn’t understand at the time. When I started secondary school I soon identified the problem. It was my father’s occupation. But why would the fact that my father was a preacher make me some kind of pariah at school? I could understand why teacher’s kids and police officer’s kids were selected for special treatment, but what had preachers ever done to cause their offspring to be singled out? A comment on a previous blog that referred to life as a PK made me sit up. Heather Mertens said; “I’m not a PK but just being His kid makes me feel like the world doesn’t get it.” If we are His kid, then the world is going to treat us the way that many PKs get treated at school. Being His kid makes us different and the world sees it and hates it. The world hates the fact that His kids have been changed by the experience of sitting at His feet, and the world will do all it can to drag us away from Him. The battle never ends. The pressure is relentless. The world just doesn’t get why we follow Him and want to be part of His family instead of indulging in everything that it, the world, has to offer. I couldn’t choose not to be a preacher’s kid when I was growing up, but I could choose to walk away from God and back into the arms of the world. But why would I when God has made me so aware of how special I am to Him? Growing up in a Christian home was not something I considered advantageous at the time. In hindsight, the benefits were many, but as a child I resented the imposition of church and faith on my life by my parents. I also hated the fact that my father was a preacher. You have to have been a preacher’s kid (PK) to understand the special bond between PKs! Being a PK often provides a wonderful insight into the good, the bad, and the downright ugly of the church. Seeing the effect of so-called Christians on my father in one church made me feel like I didn’t want to be one. In fact, I wanted to smash their faces. I might not have respected my father much at the time (I was a teenager) but mess with my family and you mess with me! So … what tables are you going to turn over in your life, and what stops you from being consumed with passion for Jesus?